The Engineers Ireland STEPS youth-focused education outreach programme is to be supported by Transport Infrastructure Ireland (TII) over the period 2019-2021 as part of TII’s corporate commitment to encourage young people to consider a career in engineering. 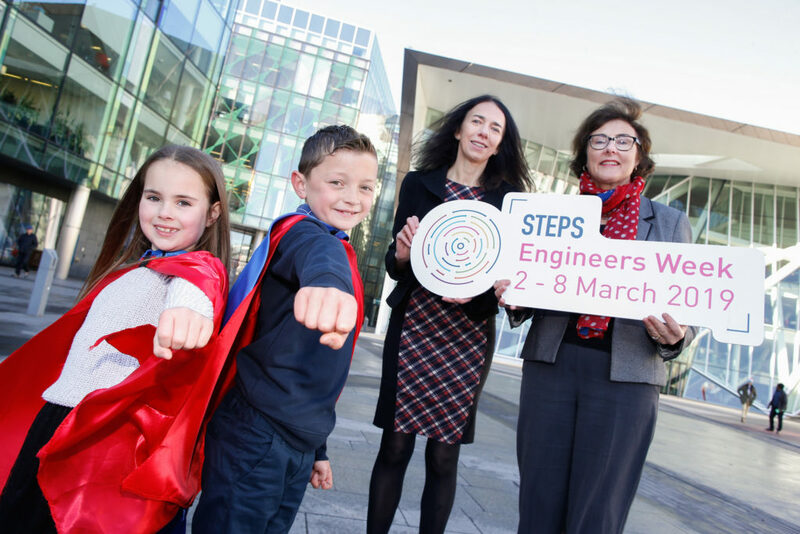 Future engineering superheroes, Hollie (aged 7) and Riley (aged 8), are pictured with Dee Kehoe, Steps Director, Engineers Ireland and Helen Hughes, Chartered Engineer and Director of Professional Services, TII. The STEPS programme aims to encourage and educate future generations of engineers by supporting industry and community leaders to engage with primary and secondary school pupils through a number of hands-on workshops and programmes. These include Engineers Week, (nationwide festival, next spring it runs from 2 – 8 March 2019 – in 2018 over 850 scheduled events took place with more than 75,000 participants), Engineering Your Future (immersive experience for transition year students) and the Young Engineers Award. In partnership with the Irish Girl Guides, the STEPS team has also developed Engineering Badges for Girl Guides and Brownies. “Our latest survey of engineering employers has shown that over 6,000 new engineering positions have been forecast for next year. Coupled with the ambitions of Project Ireland 2040, engineers in Ireland have never been more in demand.